Fans of The Witcher 3: Wild Hunt will be excited to hear that the game's second expansion, Blood and Wine, finally has a set release date: May 31st. This DLC will be the last installment for The Witcher 3, and concludes the trilogy that begun nine years ago. Blood and Wine is a larger expansion than Hearts of Stone, which was released in October 2015 and included around 10 hours of content. According to CD Projekt Red, Blood and Wine has 20 to 30 hours of narrative content, plus an entirely new area called 'Toussaint' that's modeled on southern France. 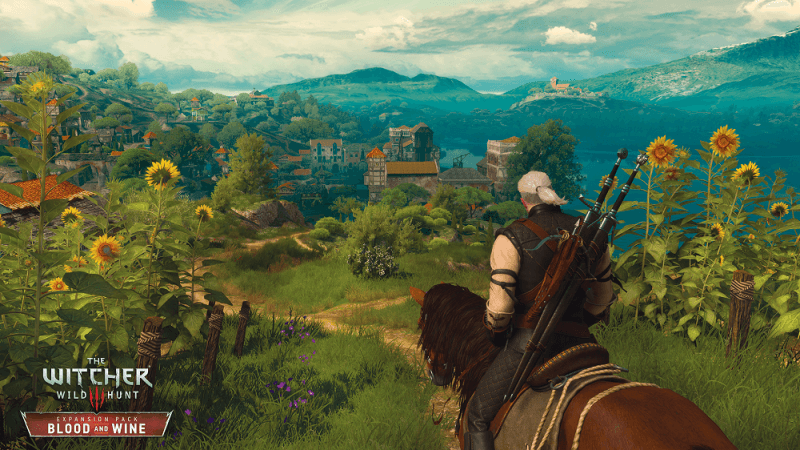 The playing area of Toussaint is similar to Velen in the main game. This expansion is intended for players who've already completed the main quests in The Witcher 3 and have a character that's level 35 or higher. Along with new quests and areas to explore, gamers will also enjoy new enhancements to combat, and more cards for Gwent. CD Projekt Red has set the price of Blood and Wine at $20, which seems pretty reasonable considering how much content is packed into this DLC. It should be noted that you do need to own The Witcher 3 to install Blood and Wine, so it's not a standalone expansion.